Founded in 1866, The Sherwin-Williams Company is a global leader in the manufacture, development, distribution, and sale of coatings and related products to professional, industrial, commercial, and retail customers. The company manufactures products under well-known brands such as Sherwin-Williams®, HGTV HOME® by Sherwin-Williams, Dutch Boy®, Krylon®, Minwax®, Thompson’s®, Water Seal®, and many more. With global headquarters in Cleveland, Ohio, Sherwin-Williams® branded products are sold exclusively through a chain of more than 4,000 company operated stores and facilities, while the company’s other brands are sold through leading mass merchandisers, home centers, independent paint dealers, hardware stores, automotive retailers, and industrial distributors. The Sherwin-Williams Global Finishes Group distributes a wide range of products in more than 115 countries around the world. The company is the largest coatings manufacturer in the U.S and third largest worldwide. 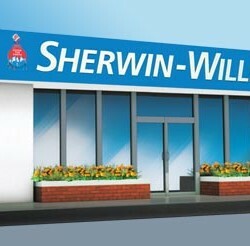 Is a Beat in Store for Sherwin-Williams&#39; (SHW) Q1 Earnings? Will PPG Industries’ Q1 Revenues Fall?